In the early 1920’s Sabin Baginski, an immigrant from Poland, moved to Antigo. He started farming 80 acres focusing on dairy cows. One of Sabin’s sons, Ted, bought the farm from his father in 1944. 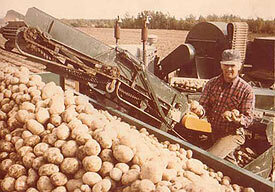 Ted decided to change the focus of the farm and entered the potato industry. Ted and his wife Kathryne had three sons, Ted Jr., Florian and John. Together they started growing seed potatoes. 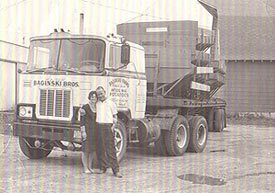 In the late 1950’s they formed the corporation of Ted Baginski & Sons Inc.
Today the farm is in its fourth generation. Ted Jr's son, Michael, has taken over the position of president of the corporation that was held by Ted Jr. for many years. 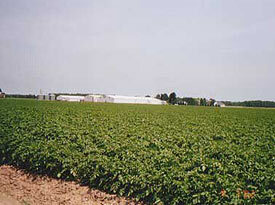 This 80 acre farm has grown to over 2000 acres. The main focus of the farm continues to be seed potatoes. Baginski Farms is committed to producing the best quality seed potatoes and providing their customers with the best varieties in today’s current market.